The Law Offices of David P. Rankin represents licensed professionals throughout the state of Florida regarding all aspects of professional licensure and administrative issues related to professional regulation. Since 1985, attorney David Rankin has represented real estate brokers and sales agents, accountants, professional engineers, architects, contractors, and a variety of health care providers, as well as hospitals, pharmacies and professional associations, before the Florida Department of Business and Professional Regulation (DBPR) and various boards, commissions and agencies, including the Florida Real Estate Commission, the Florida Department of Health, and the Florida Agency for Health Care Administration. Our Tampa administrative & professional licensing lawyer provides assistance in all aspects of professional regulation, from applying for and obtaining a new license or appealing a licensure denial, to defending an existing license, and all matters of compliance in between. Attorney David Rankin began his career as a prosecutor in the State Attorneys Office in Hillsborough County and then spent several years in private practice prosecuting cases referred to him by the DBPR. This experience as a prosecutor, combined with more than 30 years in professional license defense, makes David Rankin eminently qualified to handle your disciplinary proceeding and seek the best possible result at the earliest possible stage. Litigation is not always required to resolve a disciplinary matter. Through ongoing communication, effective advocacy and creative problem solving, a satisfactory disposition can often be obtained without going through the formal administrative hearing process. 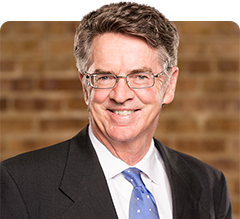 Through decades of experience and professional representation, David Rankin has established and maintained good working communication channels with the government agencies, boards and commissions charged with deciding licensing regulatory matters across a range of professions. Disciplinary proceedings can be simple or complex, and their outcome can impact one’s practice both in and out of state. David Rankin maintains relationships with attorneys in a variety of areas, who frequently refer disciplinary matters to him or ask him to work with them to handle their clients’ administrative or licensure issues. Our practice includes working with criminal defense attorneys to coordinate strategy and defense when a criminal complaint is implicated along with an administrative complaint. If you are a licensed professional or a corporate or small business licensee with a regulatory matter before a Florida government body, contact the Law Offices of David P. Rankin for assistance. In addition to disciplinary proceedings, we help individuals and businesses with applications for licenses or permits from state agencies, including out-of-state individuals seeking authority to practice in Florida or out-of-state companies wishing to operate a licensed business in Florida. For a free consultation regarding a formal administrative complaint or other licensing issue, call David Rankin at 813-968-6633 to schedule a consultation with a Tampa administrative & professional licensing lawyer.